A powerful new technique called "data virtualization" is drastically changing how companies are using data to get ahead. Is your business ready? How can data virtualization solve my biggest data issues? What does the current landscape of data virtualization look like? Unlock the full potential of your data with the power of data virtualization. Data is the basis of decision-making for every modern company, but did you know that companies will often spend up to 60% of their time and resources cleaning and organizing data, time that could be better spent interpreting insights and making meaningful decisions? Heap's new data virtualization layer is changing the status quo. Introduce a tool that allows you to interact with virtualized view of their data rather than interacting with the raw data itself. It’s a layer of indirection that automatically optimizes your website, mobile app, and third-party data to help your business to answer tricky behavioral questions on the move. 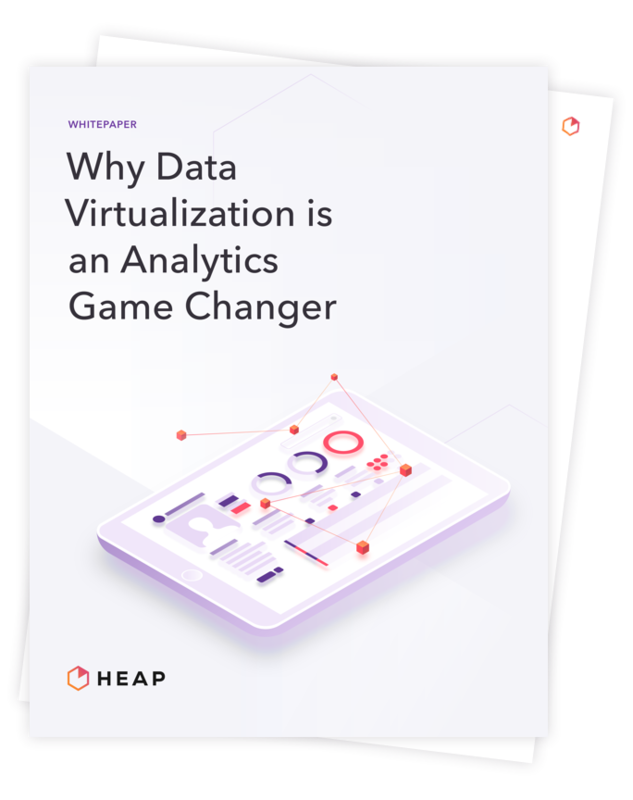 Download our new whitepaper to learn how data virtualization can help you spend less time with data cleanup and make more confident decisions with data you can trust.